The increasing number of milk producers require the milking technique that is developed for separate individual milking and the universal care for the animal. The strategy of autotandem milking provides greater comfort for both the animal and the milker and meets the requirements for steady and comfortable milking with first-class results. Working conditions for milkers are markedly improved with this method because the even scheduling of work and increased comfort for the staff eliminate severe mental stress and physical exertion. Autotandem milking eliminates crowding and stress in animals because the changing of animals in individual boxes is controlled automatically using photocells, and animals enter and leave the box separately and in peace. All gates are operated using vacuum which ensures safe and quiet operation. Separated individual boxes in the case of autotandem milking bring peace and comfort into the milking process, allow to eliminate waiting times in the case of cows that are difficult to milk, and enable the monitoring of animals and the evaluation of their physical condition and health. Thanks to individual milking boxes, the restlessness of fidgety animals does not spread in a herd. Individual access to dairy cows - AUTOTANDEM - is suitable for herds of all sizes. 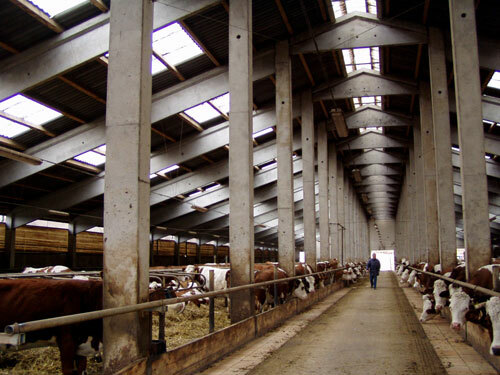 The principle of the herringbone milking parlour is based on the group entrance and departure of dairy cows. 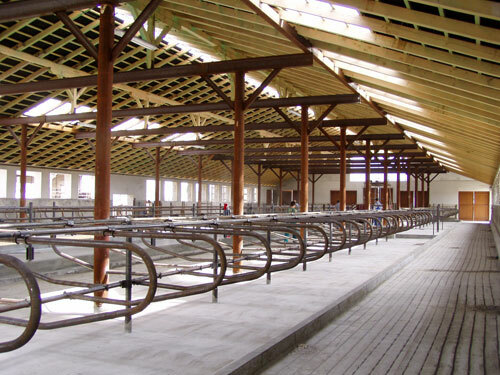 The system of milking stalls can be supplied in many variations; all of them consist of the rugged stable construction made of zinc-coated pipelines. A double, shaped pipeline protects the milkers and ensures work safety. The transverse position of the animal enables the milker to monitor the udder while the sophisticated design ensures the well-balanced rate in the course of milking. Pneumatic operation - either in the electric, or manual model, the entrance and exit gates determine the rate in the milking parlour. 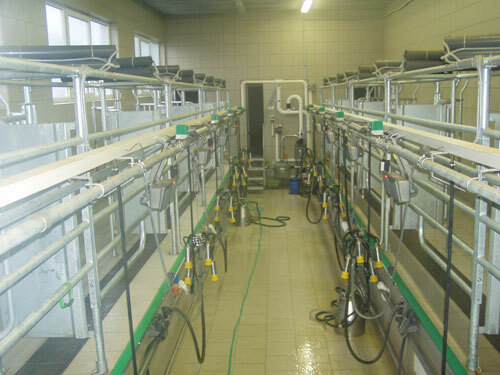 The operator can operate the entry and exit gates from every other service place which allows to switch the groups of animals quickly and to shorten the time of the entrance in the milking parlour. 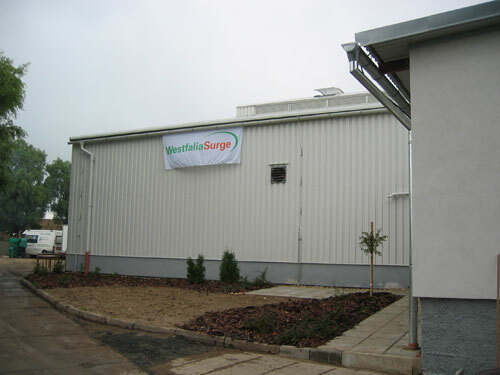 The suspended system EUROCLASS FT without stacks can be supplied on request. The suspended herringbone milking parlour gives the milker greater comfort at work, better control over the milking parlour, free access to the udder. 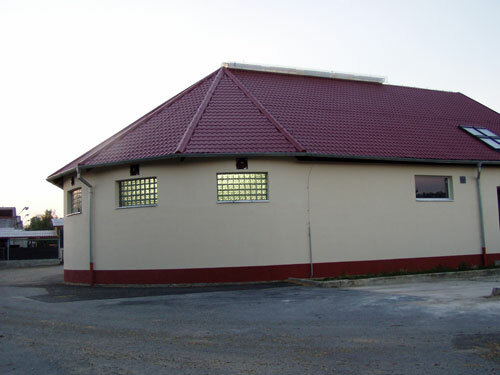 AUTOROTOR is a highly efficient milking parlour suitable for medium and large herds of dairy cows. Until now the care for herds of dairy cows has been very laborious and could only be accomplished with great exertion (long walking distances, fitful work, etc.). With the new carousel-like milking parlour AUTOROTOR, one milker is able to milk one hundred dairy cows in an hour. This system provides high effectiveness in a shorter time at a lower number of employees. AUTOROTOR ensures the high quality of the milking process, steadiness, increased efficiency and the acceleration of the milker's work. The milker does not need to do unnecessary movement around the milking parlour and has a better view of animals. AUTOROTOR allows to care of dairy cows individually, which is less stressful for the animal. 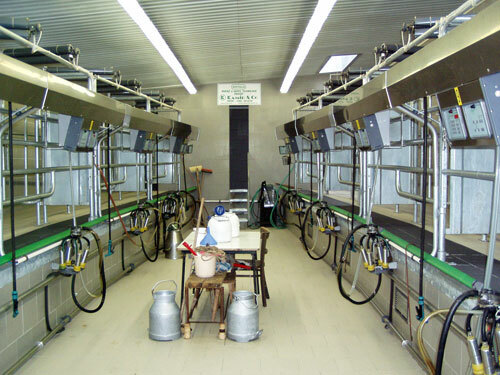 One typical feature of AUTOROTOR is that it has a large number of milking stalls in a small space. Our offer consists of milking systems with 10 - 40 milking positions, other sizes can be delivered on the basis of your request.